We can probably say that the playoff hopes for the NY Knicks is very thin and disappointing with the expectations many had with the new additions of Derrick Rose, Joakim Noah and Courtney Lee. 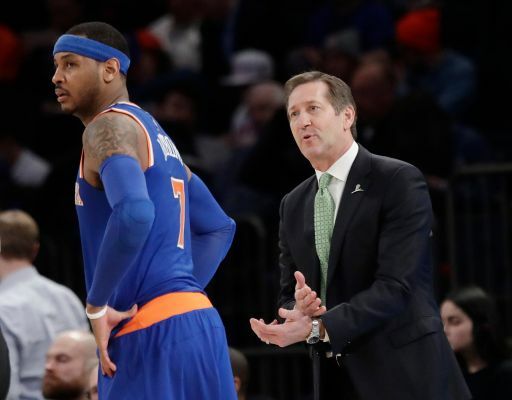 NY Post states that head coach Jeff Hornacek will be focusing on the six rookies and taking minutes away from Carmelo Anthony. The star forward revealed this information in yesterday’s practice and he is ok with that, especially with having the best odds in the draft lottery. Anthony says he still wants to be a role model for the younger players, “My role won’t change as far as helping guys out. When I’m out there, I’ll play. When I’m not, I’ll help everyone else. I’ll still come in here and get my work done”.